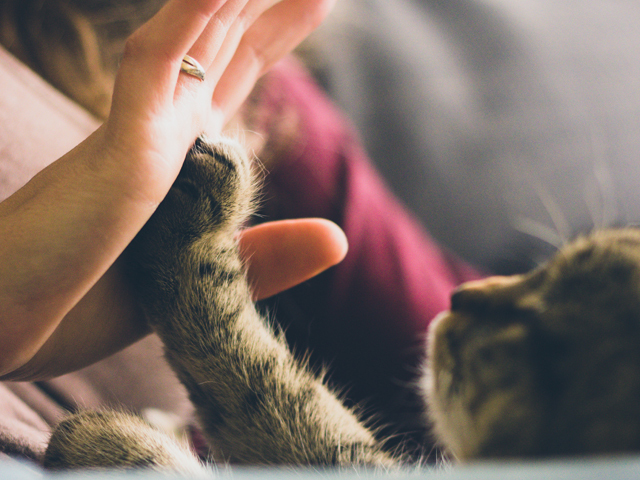 With more than 62 per cent of households owning a pet and 24 million pets across the country, Australians are familiar with the significant physical and psychological health benefits animal companionship can bring. For cat owner Lily, adopting shy cat Angie has given her life purpose, as well as a companion she cares for. "I've never had a cat before, only dogs, so I wasn't sure how I would feel adopting a cat. My arthritis makes me feel like there's nothing I can do. Now Angie has given me company." Research has shown cat owners believe they are healthier overall compared to non-cat owners, with 11 per cent less arthritis, 40 per cent less congestive heart failure, and 26 per cent fewer strokes reported3. The Shy Cats and Seniors initiative from non-government organisation PetRescue aims to help more Australian seniors benefit from the mental and physical benefits of a four legged companion, while at the same time, finding homes for hundreds of shy rescue cats. 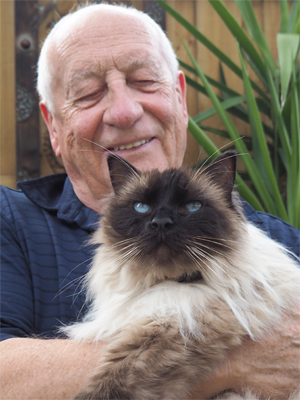 The pet adoption program, funded Lyn Biner, Smallest of Wishes Foundation, will enable Australian seniors to be paired with a cat they can adopt for a subsidised price. "Shy Cats is such an incredible program in three very important ways: it not only helps rehome beautiful cats that are often hard to rehome, it also helps those who want a quiet companion in their life, and thirdly it provides a safety net meaning that if the human passes away, there is an ongoing care plan for the cat. And that is a rare and magnificent thing when you are older and not sure what will happen to your pet if something happens to you. The 'permanent foster care' concept is such a credit to PetRescue, to be able to give people a peace of mind that whatever happens, their beloved pet will be cared," Ms Biner says. The Shy Cats and Senior Citizens program connects older Australians with cats for adoption, at the subsidised cost of $25. All shy cats are desexed, vaccinated, wormed and flea treated. PetRescue's Shy Cats Program Coordinator Caren Holliday says it takes a special person to open their heart and home to a shy cat. "Senior citizens are wonderfully placed to provide shy cats with the time, patience and love they need to blossom, offering both the owner and the rescue cat an ideal companion," she said. "The special love of a shy cat is an incredible addition to a seniors' life. There's proven mental health benefits of pet ownership and, most importantly, the satisfaction that comes from adopting a pet with an uncertain future, that's in desperate need of a second chance at a happy life." Question: What is the Shy Cats and Senior Citizens program? Tarsha Andrews : It's a program that brings the joys of pet ownership to older people, while at the same time helping a very special cohort of rescue cats in need of quiet, patient homes. It's just $25 to take on a shy cat via this program, so it's a really affordable way for seniors to obtain a wonderful pet in need of a home. And there's the reassurance that, should circumstances ever change, the cat will return to its original rehoming organisation. We know that's a really important factor when seniors are considering taking on a pet. Question: What does PetRescue hope to achieve from the Shy Cats and Senior Citizens program? Tarsha Andrews : Our hope is to find great homes for shy cats, who often spend a lot longer in rescue than their more confident kitty counterparts. And to bring the physical and mental health benefits of pet ownership to senior citizens who could do with some extra love and companionship. Our ultimate goal is to increase adult cat adoptions, and help more Australians bring a wonderful rescue cat into their lives. Question: Why are these cats, in the program, specifically shy? Tarsha Andrews : Cats, like humans, have their own different personality types. These 'shy cats' tend to be a little less confident and can take a bit more time to feel safe and secure in their environment, or when meeting new people. Because of this, they can spend a lot longer in rescue before finding a new home. But many shy cats will come out of their shell and become quite affectionate, once they've had a chance to settle in and get to know you! Shy cats truly appreciate the luxury of a quieter home, and a cosy spot to curl up in. And a little time, patience and love goes such a long way. Question: What are the significant physical and psychological health benefits of senior citizens owning a cat? Tarsha Andrews : Pet companionship has been linked with so many benefits - lower levels of stress and anxiety, reduced risk of heart disease, lower blood pressure, improved mood, and help with loneliness and depression. And it's also worth noting that many seniors have expressed that they would not feel confident meeting the demands of caring for a dog (particularly with walking and exercise requirements) but they would feel capable of caring for a cat, as they tend to be much less demanding and more independent. Question: When adopting a cat for a Senior Citizen what other items need to be provided for the cat? 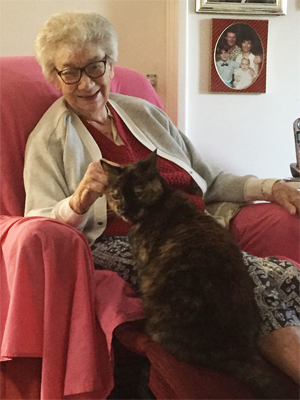 Tarsha Andrews : Through the program, it's been really wonderful to see family members get involved in the process of connecting their senior parents or grandparents with shy cats. For some seniors, access to technology and transport can be a barrier, so it's fantastic when family get involved to help save a life and bring love and companionship to senior citizens.